Synchrono® clients represent aerospace and defense. Industrial and capital equipment. Recreation and sporting goods. Transportation. CPG. Synchrono clients work in diverse industries — and all types of manufacturing environments. Whether you’re in an ETO, CTO, MTO or MTS environment; running or want to run your business based on Lean manufacturing, constraints management or some other demand-based technique, Synchrono delivers proven software and services to synchronize your supply chain. View our client list and learn how we have helped organizations like yours on our case studies page. 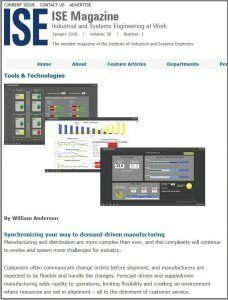 Recognized with a Frost & Sullivan Manufacturing Leadership Award for operational excellence for achievements enabled by the Synchrono Demand-Driven Manufacturing Platform. Awarded as a Top 100 Supply Chain Project by Supply & Demand Chain Executive for improvement enabled by SyncKanban eKanban software from Synchrono. Cadbury Schweppes Bottling Group (formerly Dr Pepper/Seven Up Bottling Group) and is the third largest bottling company in the United States after Pepsi Beverages Company and Coca-Cola Enterprises. The company is a wholly owned subsidiary of Cadbury Schweppes. Part of the Johnson & Johnson family of companies shaping innovation in surgery. Titanium Metals Corporation produces titanium melted and mill products. Increased single-machine utilization capacity from 65% to 100%. Wenger Manufacturing, Inc. is the world’s leading supplier of process systems for the food, feed and industrial grain processing industries. Canadian General-Tower Limited manufactures and supplies coated fabrics and films for automotive and industrial applications in the global marketplace. Clearfield is a designer, manufacturer and distributor of fiber optic management products. A&B is an industry leader in the design, engineering, development, fabrication, and installation of process systems for many industries that touch the lives of almost everyone on a daily basis. Graham Architectural Products is a custom manufacturer of engineered, commercial, window, door, and curtain wall systems specializing in energy efficient, historical, ATFP, and high-performance products and solutions. Rex Materials specializes in developing and delivering products that solve specific customer needs utilizing our custom engineered high temperature material systems and refractory products. GIW Industries, a division of KSB, is a single source manufacturer of slurry and process pumps. KOBELCO is a world leader in the manufacture of tire, rubber, and plastics machinery. Landscape Structures Inc. is a world leading manufacturer of commercial playground equipment. Landscape Forms is the industry’s premier global brand of outdoor furniture, LED lighting and accessories. Delkor offers case and carton packaging innovations in both the rigid and flexible packaging categories for the food, beverage & dairy industry. Colortree Group, Inc. is a full service envelope manufacturer and printer. 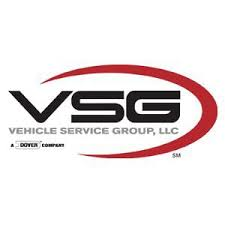 Part of Dover® Corporation, VSG is a strong, diverse and dynamic global leader in the vehicle service industry. Comprised of nine brands for light and heavy-duty vehicle lifting and storage lift equipment solutions; and vehicle collision repair system applications. Pyrotek provides high-temperature materials for industrial applications. Innotec manufactures electrical products for the automotive industry. Cannon Equipment is the premier designer and manufacturer of material handling carts, cages, racks, and automation equipment used in dairies and newspaper operations. Nomacorc is a member of Vinventions, the global leading supplier of complete wine closure solutions to the still and sparkling wine industry. Nomacorc is a worldwide leader in wine closures and the No. 1 closure brand for still wines in many countries including France, Germany and the United States. What makes Nomacorc closures a superior choice can be summed up in one word: consistency.